The Securities and Exchange Commission has been unable to follow through on its 2011 recommendation for a uniform fiduciary standard. But the SEC doesn’t want to be left behind while the Department of Labor forges ahead with its own fiduciary rule. If 2016 is destined to be the year of fiduciary, the Securities and Exchange Commission does not want to be left behind. The Department of Labor stepped into the vacuum and produced a restrictive fiduciary rule that has agents pondering substantial changes to their business models. 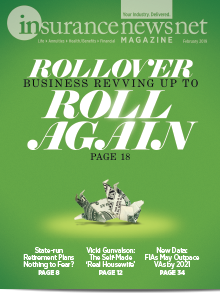 DOL staff are bunkered in Washington and are expected to publish the final rule in the spring. 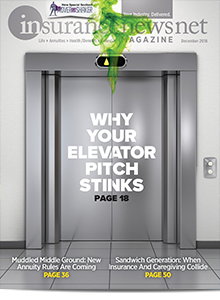 “In this business you learn to live with whatever regulators may do,” said A. Raymond Benton, owner of Benton & Co., a fee- and commission-based planner in Denver. Just when it seemed the SEC would be left behind in the race to adopt fiduciary regulations, the agency made a surprise announcement: It would release its own fiduciary proposal in October 2016. 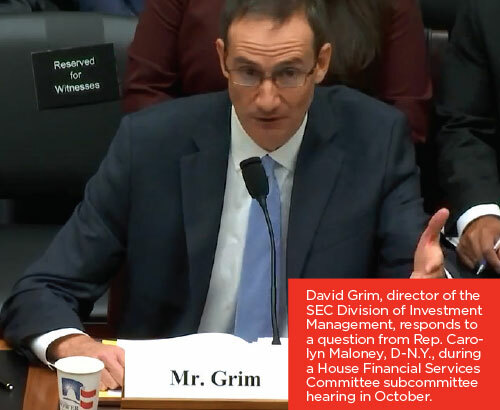 The release date was made public shortly after House Committee on Financial Services subcommittee members subjected an SEC official to tough questioning. Legislators pressed SEC Division of Investment Management Director David Grim about the logic of the DOL going first. “Aren’t they pre-empting your work, Mr. Grim, in your opinion?” asked Rep. French Hill, R-Ark., a former broker. “DOL and the SEC have different statutes and different mandates,” Grim said. “Won’t that be confusing for investment advisors and their clients to have these two different competing standards that are actually in conflict with each other?” Hill shot back. Grim left the question unanswered, and lawmakers left the hearing unfulfilled. DOL opponents note that the Dodd-Frank Act of 2010 specifically authorized the SEC to lead the way on an expanded fiduciary standard. DOL supporters say the SEC has done nothing because it is hamstrung politically and lacks leadership. Having the SEC go first seems to make more sense, since an SEC regulation would apply to all securities investment accounts. The DOL rule requires a best-interests standard on 401(k) and individual retirement accounts. A legislative attempt to force the DOL to wait for the SEC seems destined to fail. The Retail Investor Protection Act, sponsored by Rep. Ann Wagner, R-Mo., passed the House but is stalled in the Senate. President Barack Obama vowed to veto the bill if it reaches his desk. “The Obama administration and the (DOL) believe that the American people need to be protected from themselves, that they are not smart or capable enough to control their own retirement savings,” Wagner said. A closer look at the SEC reveals why the agency is so slow to respond. The five-person panel is made up of politically appointed commissioners — two Democrats, two Republicans and an independent representative. Everything from enforcement actions to regulatory decisions is apt to get hung up amid the disputes between the two sides. 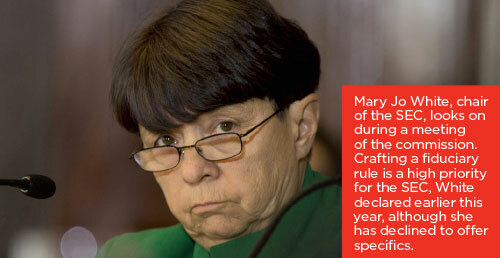 When SEC Chairwoman Mary Jo White, the independent commissioner, declines to take a side, nothing gets done. Two new commissioners are about to step into the fray. Hester Peirce and Lisa Fairfax are slated to join the SEC as Republican and Democrat members, respectively, pending their confirmation by the U.S. Senate. But the new members are unlikely to change the atmosphere. According to documents filed with the Office of Management and Budget, the SEC must follow the same rulemaking process as the DOL. That means publishing the proposed rule in the Federal Register, holding a public comment period and then publishing the final rule. In other words, if the SEC publishes its proposed rule in October 2016, it will be about 18 months behind the DOL. While the twin rulemaking tracks might seem odd, the SEC will have the advantage of seeing the reaction to the DOL's efforts. A summer comment and public hearing exercise yielded fierce industry opposition to the DOL rule. 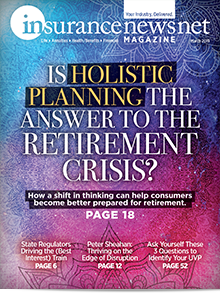 Frustrated agents say the DOL rule will serve only to limit consumer access to retirement planning advice. But despite thousands of comments and petitions, the DOL is trudging ahead. 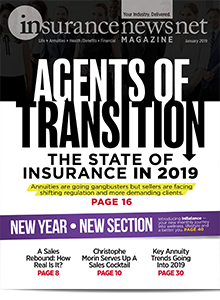 Opponents of the proposed rules insist the overwhelming majority of agents and advisors already act in the best interest of their clients, even if they are legally bound to follow a suitability standard. The rule calls for added layers of paperwork, arduous disclosures and a significant amount of record keeping. Many industry observers expect to see an exodus of advisors from the business. Still other advisors are resigned to working under the new fiduciary rules and have already started adapting to them. 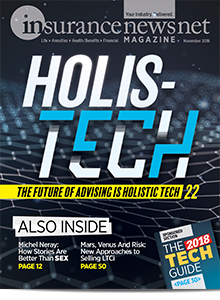 By the time the SEC’s final rule is published, the two-year period from 2015 to 2017 will likely see the most far-reaching changes in how advisors conduct their business in decades – perhaps even since the adoption of the Investment Advisers Act of 1940. 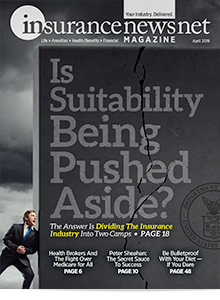 Editor’s note: InsuranceNewsNet Senior Writer Cyril Tuohy contributed to this story.